There is one step, automated in Metasploit, which penetration testers need time-to-time: getting a shell from the admin account of a Wordpress installation. Here I show you the easiest way to achieve it manually. It will also bring you understanding of how it might be done automatically by tools like Metasploit. This is a pentesting article. You should know what you are doing, and have permission to do so. Otherwise you might end-up in jail. In no way I am responsible for any use of this article. If you do not understand it or disagree, please, leave. So you know the way past this login page? - Good. Now you also want to get a nice reverse shell, like this one (copy one, copy two) and apply it. 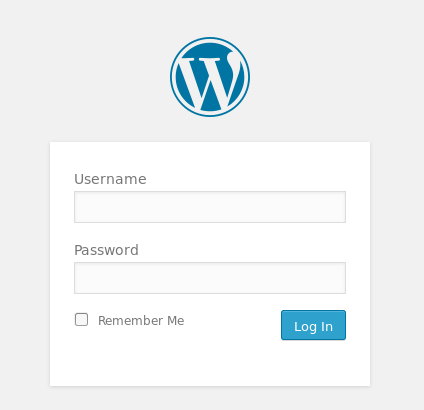 What is the easiest way to do it when you have the access to Wordpress administration interface? - Well, you shall paste it somewhere and save in the admin interface in a PHP script, which you can easily call later. I suggest you to go to Appearance, then to Editor, then pick any of the PHP files in the templates, I chose footer.php, and paste there the reverse shell code. Don't forget to change the IP and the port to the ones set up your listener to. Now let's set up a listener and visit some page which has a footer in Wordpress, e.g. the home page. And voilà! The screen-shots on this page were taken by me. You are allowed to reproduce them for legal purposes given a link to this article as to the source.